Fall is a lovely time to visit Sonoma County. The temperatures are pleasant, the summer crowds are gone, and there’s no shortage of one-of-a-kind properties tucked away along the two-lane roads that dot the countryside. 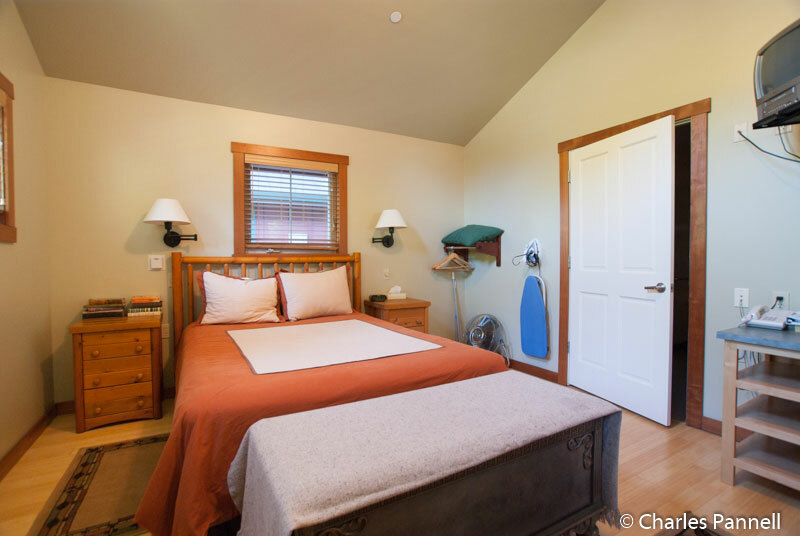 And although there’s no shortage of comfortable properties in the area, the Creekside Inn (www.creeksideinn.com) gets high marks for both accessibility and ambiance. 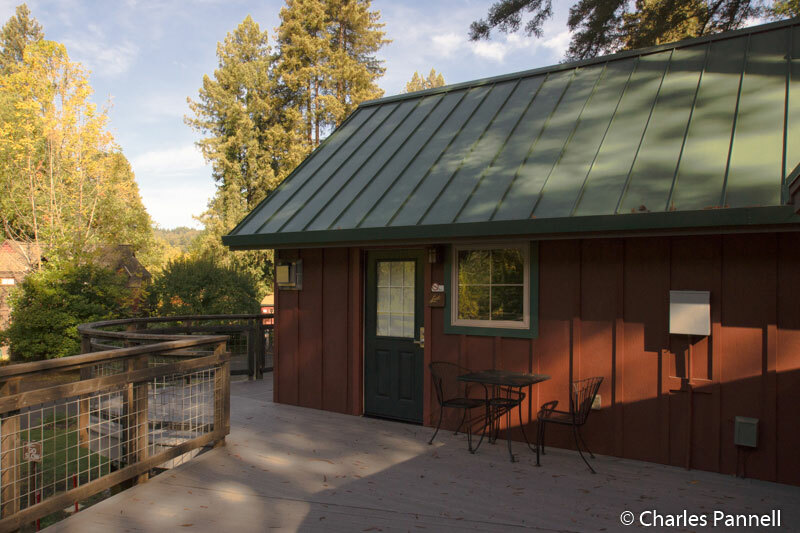 Located in sleepy little Guerneville, this 28-room property is nestled in the redwoods just a stones throw away from the Russian River. Built on stilts to withstand potential flooding, the majority of the rooms are on eye-level with the avian population that inhabits the surrounding forest. And if you listen closely you’ll also hear the familiar “Chicago” call of the resident ground dwelling quail. Truly you are surrounded by the beauty of Mother Nature at this rural property. The inn itself is divided into two sections — the main house, where the office and six bed-and-breakfast rooms are located; and the surrounding buildings, which house a collection of second-floor cottages, suites and cabins. The accessible Lark Cottage is located in the latter section, with accessible parking near the office and elevator access up to the barrier-free elevated walkway on the top floor. Access features in the cottage include wide doorways, barrier-free pathways, and plenty of room to navigate a wheelchair. 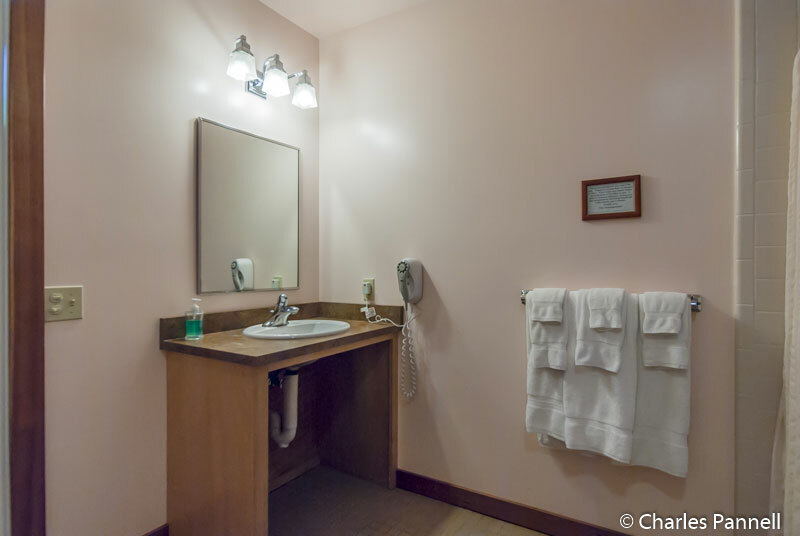 The spacious bathroom is equipped with a roll-in shower with grab bars, a hand-held showerhead and a fold-down shower seat. 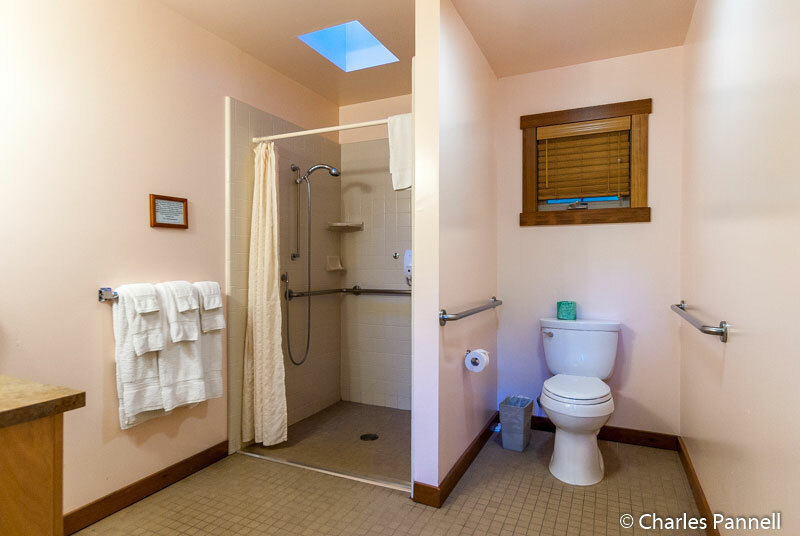 The toilet is located in a separate alcove with grab bars on both sides; and the bathroom also includes a roll-under sink. 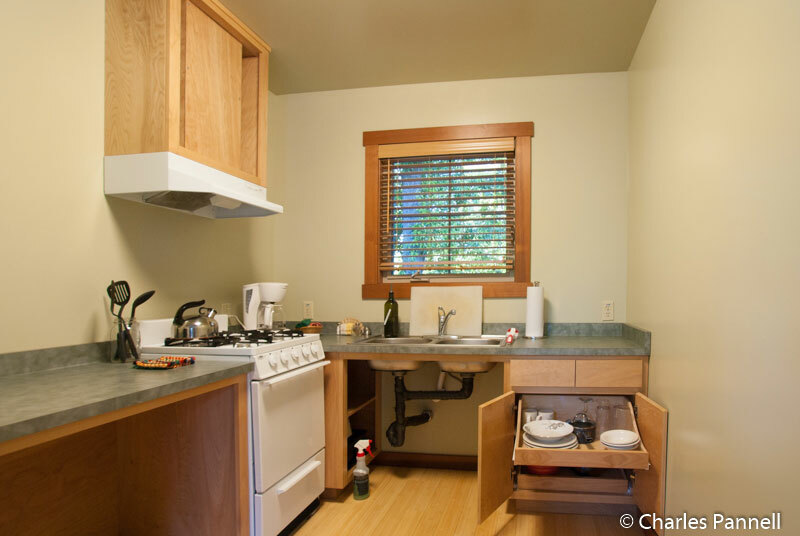 The cottage is furnished with a 23-inch high queen-sized bed, and includes a roomy kitchen with a stove, sink, coffeemaker, refrigerator and even roll-out shelves. There’s also level access to the small deck area just outside the cottage. And let’s not forget the little extras, like fresh fruit on the counter and half-and-half in the refrigerator for your morning coffee. And then there’s the gas fireplace for those nippy fall evenings. Access to the public areas is good too at the Creekside Inn, with a lift available for the pool and hot tub. There’s also a barbecue area with level access and an accessible picnic table. And with the Russian River flowing in the background it’s the perfect place to sip a glass of wine and enjoy the natural beauty of Sonoma County. Top it off with a very welcoming and knowledgeable owner — Lynn Crescione — and you have all the key ingredients for a relaxing getaway. Trust me, I frequent this property, and Lynn always comes up with something new for me to see or sample every time I visit. Plus I have to give her a big shout-out for her proactive access attitude. She had a pool lift long before it was ever required, and she really goes the extra mile to make things as accessible as possible. You just can’t go wrong with the Creekside Inn. It’s just what the doctor ordered for some serious R&R! ‹ London Access Guide	› Is it Legal to Charge Extra for Disabled Adult Children?